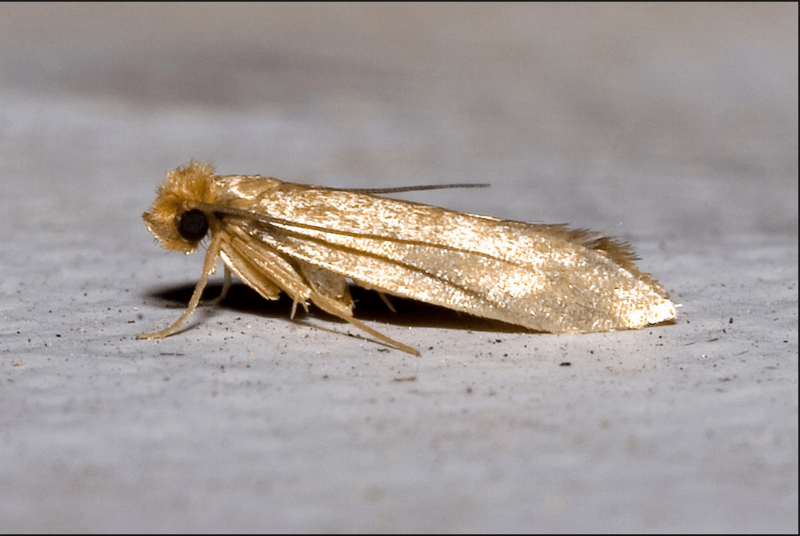 Clothes moths are 3/8"- ½" in length. There are two types: the case making clothes moth and the webbing clothes moth. Both are similar in appearance. Both have a golden buff appearance with a brownish tinge. They feed on natural fibers including animal hides. Webbing or small spun insects cases may be found along with damage when dealing with these fabric pests. Case making and webbing clothes moths. Inspection should be performed to stored fabric items. Curtains and fabrics made of natural materials are the most at risk. If an item is determined to have clothes moths the item should be discarded. Liquid treatment is not needed.